Flashback 2008. Or Why We’re Here Today. 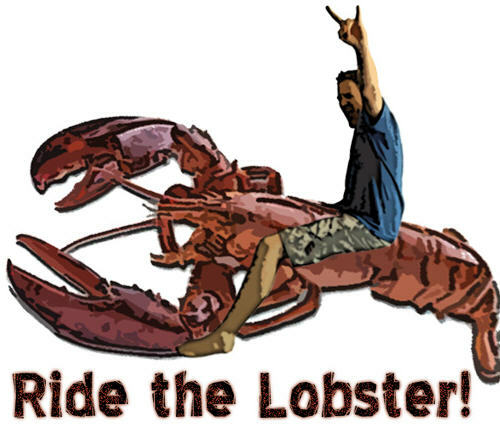 A decade and a delusional amount of self-confidence ago, I managed to convince 2 other equally deluded friends and a complete stranger from halfway across the world to head to Nova Scotia, Canada to sign up for a 800km unicycle relay race called Ride the Lobster. We called ourselves the Masticating Bunnies from Hell. It’s not even like we would only find out that it’s insane after travelling almost 2 days to reach the starting point; we had to complete a qualifier ride first involving something like a 80km route every day for a weekend. Heck, we didn’t even have the right equipment. I remember having to convince a local bike shop to ship in larger unicycles (which were still undersized) and had to write a manufacturer, Qu-Ax which generously sent us spare parts and tees. The Singaporean part of the Bunnies with Arne, another racer who’s unlike us, actually sponsored by Qu-Ax. 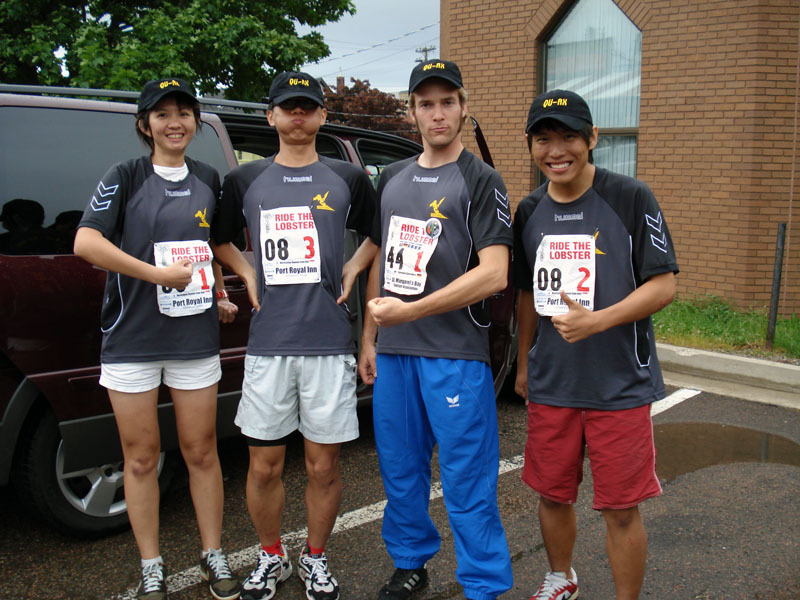 Yup, in the spirit of being young, dumb and reckless, we were a bunch of 20-somethings who signed up for an international endurance race without experience or equipment and we’re joined by a support driver who I got to know because we’d occasionally comment on each others’ blogs. 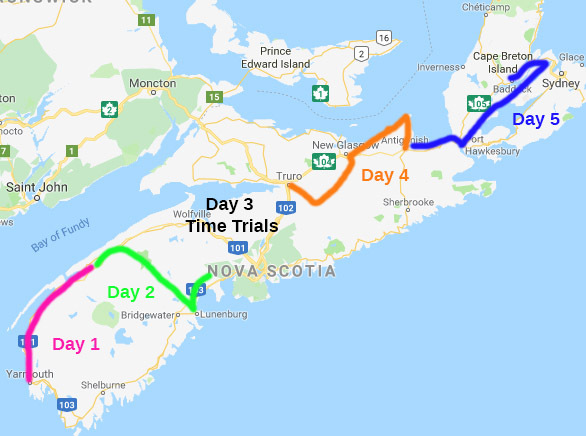 If we were crazy for doing the race, Mike, our support bud, is way higher up the cuckoo scale because he doesn’t even unicycle and volunteered his vacation to drive across the country to chauffeur a smelly bunch of nutjobs from Singapore (it’s a real country???) for a week. Check out the number of support cars. I think that’s the rest of my team in the car behind travelling at a speedy 10kph. Luckily, because this isn’t the movies, no one turned out to be a serial killer under stress and Mike won an award for Best Team Support which is quite representative of Singapore sports where we’d usually get foreigners to represent us and win trophies for us. We’re very typical Singaporeans that way. Like all PTSD victims, we also found common grounds to bond over and remain good friends today while moving as far away from each other as possible lest we remember enough to trigger forgotten memories. Fast forward to today. I still keep in contact with quite a few of the Lobsterati in addition to my team mates and I think a lot of us agree that the race was quite life-changing. For myself, I think it would be the equivalent of a Call to Adventure in the Joseph Campbell/Hero’s Journey school of thought. 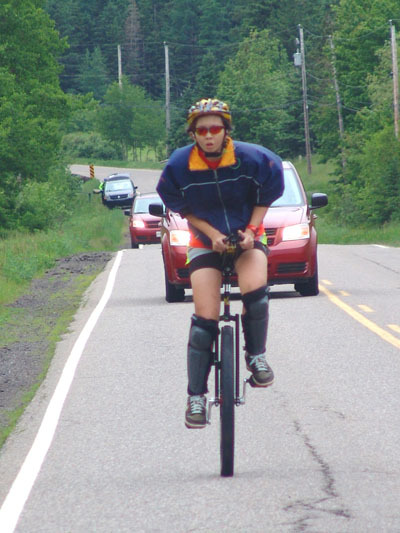 Since Ride the Lobster, I’ve unicycled mountains in all the continents of the world (save Antarctica) and have had the honor of meeting with the coolest people (ie. unicyclists) all over. I’ve started – and shut – a unicycle business and have taught scores of people to pick up the sport. It’s not so much a bragging point, really than a source of pride in the knowledge that if you really want to pursue and do something, nothing is beyond your reach. 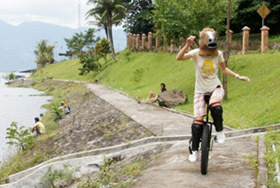 That for me, is the perfect embodiment of what unicycling is. It’s a sport that is seemingly impossible but with patience and an irrational sense of self-belief, you work miracles. This is me. 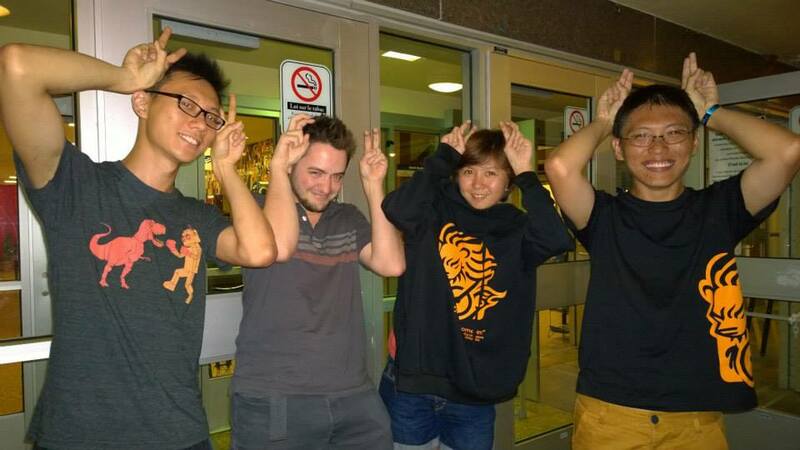 This blog mostly talks about how to have grand adventures as an unrepentant Singaporean.